You know that scene in American Pie where Jim wakes up after losing his virginity to the girl from band camp and exclaims giddily, “I was used. Cool!”? Well, that’s sort of how I felt yesterday morning when I woke up to see USA Today’s interview with JetBlue CEO Dave Barger admitting that his talking to me about the Long Beach situation was not inadvertent. In this case, being used is a good thing, and I’d say other airlines should be taking notes. Let me explain. The interview (which was very complimentary toward my blog – thanks, Dave) shows that JetBlue takes blogs and other new media outlets very seriously. My sense is that really – not just in America – but the world there’s what’s known as mainstream media. But, new social media, it’s there. It’s real-time. I think when there was a challenge to the blog – not my comment, but somebody else’s regarding (blog author Snyder’s credibility as) a “professional” – I think that’s a very, very harsh comment. I mean it’s (The Cranky Flier) real. improvements back on the front burner. But this isn’t about just saying something to a blogger and hoping it gets picked up. There’s a lot more to it than that. I have had a good relationship with JetBlue’s PR team ever since I reached out to them with a question when I was just a fledgling blogger a couple years back. They’ve always been quick to respond with helpful information, something that isn’t always easy to find from other airlines. For JetBlue, it’s even bigger than just responding to blogs. They’ve extended their influence to a much broader area by responding quickly with Twitter to anyone out there who needs information. And responding quickly helps them to shape the story. Now this doesn’t mean that everything I write about them is rosy. Far from it. I went through my past posts and I’ve actually given them two Cranky Jackass awards (one, two) and almost given them a third. And let’s not get started on the whole “controllable irregularities” issue or the early customer bill of rights stuff. But their willingness to engage quickly undoubtedly helps them to avoid some of the bad press that might otherwise come their way. For example, when I flew them last weekend up to the Bay Area (trip report coming eventually), I sent a couple tweets about the TVs not working. I received a direct message back quickly asking about it and requesting that I follow up with them if I haven’t received any compensation for the problem. It’s a brilliant use of new media to further their cause. Not only have they placated me as a traveler, but they’ve turned a potential ugly piece of my trip report into a positive outcome. Of course, they aren’t the only ones to do this. Southwest does an excellent job as well. They were probably the first to understand the importance of quick response in a world where there are no old media-style deadlines. Things get published to the rest of the internet as soon as they’re ready to go. The sooner you can give good information, the better chance you have to shape the discussion. More and more airlines are starting to involve themselves with new media, but I’m not convinced that many of them know what they’re doing. I don’t need a bunch of tweets about a new fare sale to Zimbabwe, but I do need fast answers to questions and good access to the people who have those answers. For all those airlines who still don’t think embracing new media is a good thing, well, there’s not much I can say to you except you should pull your heads out of your asses. But for those who are still trying to figure out the right way to embrace new media, let me offer some tips. Respond quickly – There are no deadlines in the world of new media. If someone sends you a note with a question, respond as fast as you can because that post will go up whether they have your comment or not. Even if you don’t have the info, write back to say you’re looking for it and they will likely wait. Of course, you can’t respond to everyone out there so . . . .
Find the influencers – There are a million blogs out there and a lot of them are terrible. So you need to figure out which ones are actually influencers and focus on them. Influencers are those that are well-respected and have the ability to touch a lot of people. You’ll want to be most responsive to those you see as influencers. And remember, the list will change over time. But even beyond the influencers, there’s more you can do . . . .
Use Twitter for good – I fully admit that I hate Twitter. I just can’t figure out how to use it to my liking, but customer service businesses that can benefit from offering real-time solutions to problems should be all over this tool. JetBlue and Southwest may have been early adopters, but others are catching on. Even United has started to use this to help people, and they’re slowly finding their groove. This is a great way to reach beyond the influencers to have a much broader impact, yet in a targeted way. So is Emirates using me in some way to get a conversation going in the US about mobile phones onboard? I don’t doubt it. Did JetBlue use me to get things moving again in Long Beach? Probably. But that’s smart. Both airlines have opted to provide excellent access and interesting content, a blogger’s dream. This won’t always work out well. I might disagree completely and absolutely thrash something that comes out. But when airlines are willing to engage even after receiving bad press, it makes the relationship even more powerful for the future. An airline that cuts someone off for writing something bad will be hurting itself more than anything else. Companies work to manage the media all the time, and now they need to start managing new media as well. JetBlue has shown that engaging the right new media outlets can have some major positive benefits. Hopefully other airlines will start to realize that they can do the same. And when the rest of you guys do figure it out, you know where to find me. hah. well said! this from a reforming skeptic. Great post, Brett. Interestingly, I’ve had some of the most trouble with JetBlue. But, I agree 100% on Southwest – their social media team is fantastic. Alaska has done a great job too lately. I understand the costs of automatically providing compensation are a bit high, but does the consumer always have to complain? Dan – There are certainly other airlines that do this very well, but I didn’t list them all. Surprisingly, some of the ones that I’ve found most proactive are those that you would think would be the stuffiest. British Airways and Lufthansa are both very good examples of airlines that do a great job. Nicholas – It’s in their customer bill of rights that you get a $15 voucher if the TV doesn’t work. I know that they do flag it automatically when the problems are reported, but that doesn’t mean that things don’t fall through the cracks. So if you didn’t get compensated, you might want to send them a note. I said back on April 9 that he must have known you were from Long Beach and not just Cranky Flyer to start talking to you about LGB. He could have talked to any newspaper of TV station about this and maybe has, but someone reading the paper or watching the news on TV will forget about the story almost as soon as they read/hear it. But talking to you a local LGB boy he knew your media was the internet. And like you said this is the new media, and is where most of the under 40 age group gets their news and quickly shares it with others. Word of mouth spreads faster over the internet these days more then it ever did before the internet. JetBlue having private talks with the airport and local elected officials would never get things done quickly. The airlines and other big company’s need to start paying attention and get into the new media to keep inline with todays way of sharing news. And like you said, we don’t want to hear about a fare sale, but info that helps us get from point A to point B. Thanks to iPhones and Blackberry’s people on the move can send out info as it happens, including to the airline, and the airlines need to be ready to handle the ways of the 21st Century and get out of the 1950’s and 60’s. Jet Blue is really good about it! They always quickly respond to my tweets, be it either in praise or annoyance, and issued me a voucher for a severely delayed flight, even though it was due to weather and nothing of their own fault. CF – you write a great entertaining column…. but you might be over-emphasising the importance of blogs just a touch here. All major airlines have a press office who (should) understand how to work with journalists and media – news websites post new articles throughout the day. A highly responsive PR department costs money – there’s only so much budget to go round ! Ryanair get slagged off on the web and in print in Europe every day of the year – every influential journalist has something bad to say about them. I still fly with them more than any other airline (about a dozen round trips in 2009) because they fly the places I want to go at times conveninent to me and at a very good price. Certain journalists may influence me…. but price and schedule will always win out. Feedback so far has been great! David – Thanks for chiming in to the conversation here. Regarding the importance of blogs, I don’t think I’m overestimating it. Blogs are a different animal and there can be great benefits to an airline that engages with them. There can also be pain for those companies that don’t. I agree that it takes time and effort and that’s why you should look for the influencers and focus on them. The influencer list is different for every airline and it can change frequently. So you need to at least be paying close attention to who is talking about you. If they start getting any traction, airlines need to make sure it doesn’t get out of control before they’ve had a chance to weigh in with their side of the story. On to Twitter, it’s certainly fair to say that this doesn’t apply to all airlines out there. In fact, I would argue that Ryanair isn’t really in the customer service business. They’re in the business of cheap freight transportation. But for those operations that center their brand around customer service, Twitter can be very powerful. There are potential cost savings opportunities as well. If you have people looking for real-time answers via Twitter, it may reduce your call volume to the call center or even the lines at the gates and ticket counters, depending upon how much you can help them of course. And theoretically it should reduce the volume to your customer relations group as well since the problems can be solved before they become much bigger. I think there can be real numbers associated with the use of Twitter, but that’s for each airline to review. you are right about the value of a good PR Department, and here at Southwest, our corporate blog, Nuts About Southwest isn’t intended to replace our PR Department. However, folks get their news/information from many sources these days, including traditional media. But since humans started talking, word of mouth communication has always been of great importance. Blogs, and Twitter especially, have moved word of mouth communication to an electronic format, and instead of speaking with the neighboring cave, you are speaking to the online world. Our Emerging Media Team works very closely with our other communication teams to present the Southwest voice, and we specialize in speaking directly to the audience. Important news might generate a press release, a video blog, a feature blog with personal insight, and a tweet on Twitter. We consider all these channels to be important and complimentary of each other. When is the last time an individual from one of the other airlines fully explained the background behind a major schedule change, and then responded to questions not from the media but actual passengers? Bill Owen from our Schedule Planning Department does this on a regular basis. And you know what? “Mainstream” journalists pay attention to our blog, they link to it, and they use if for story idea, just as they did with The Cranky Flyer and the LGB issue. But there is more to these new media outlets than just publishing our material in the blogosphere: ‘When we started our blog three years ago, we knew conversations were going on about us whetherr we wwere involved or not, and we wanted to be a part of those conversations. 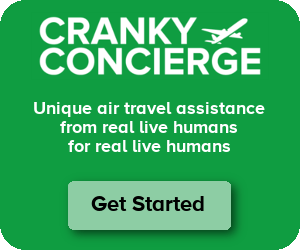 So besides our blog and the conversation that goes on there, our Team actively monitors and participates on other blogs like The Cranky Flyer (which incidentally in our blog poll, is our reader’s favorite airline blog–next to Nuts About Southwest, of course). Does participating in social media directly generate revenue? That’s hard to measure, but we know it does build brand loyalty. You cite Ryanair’s well known stance on blogging and that you still fly them for price and schedule. However, given the choice of of a competitor offering same price and similar schedule, we like to think brand loyalty and reputation is important. Is Air Azul, er, JetAmerica the Return of Skybus?